Below is the program for the evening of Saturday December 8th, 2018. This will be the final, regular screening of JAFWA for 2018. After this week there will only be next week’s marathon special screening, then the mundane/non-JAFWA end-of-year festival season, until JAFWA’s return in 2019. Our plan to finish as many regular series as possible by the end of year is well under way. This evening will be the final episode of “Death March to a Parallel World Rhapsody”, as well as the two final, pulse-pounding, dora-dora-dora episodes of the ‘Diamond is Unbreakable’ chapter to the saga that is “Jojo’s Bizarre Adventure”. We don’t have enough room in the program this week for the final episode of either “Card Captor Sakura – Clear Card” or “Cells at Work!”. We will show those final episodes next week during the marathon screening. This week we have the final of our Dinner Break surveys. Not to determine what you like in the program, but to find out what you want to see next year. Culled from the many previous surveys, plus some series you don’t need to see a preview to know that you want to see it. 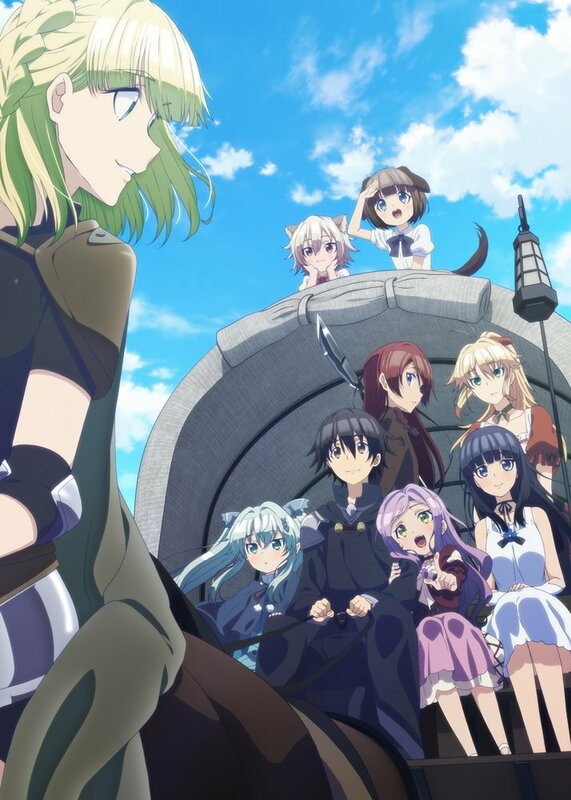 7:55pm Sword Art Online: Alicization – series 3 Ep 6/? Sunday February 24th 2019 from 9:30AM-1PM — Collector Zone Toy and Hobby Fair. Craigie Leisure Centre, Whitfords Avenue, Craigie, Craigie 6025. One Sunday, Sakura’s maternal great-grandfather invites her and Syaoran to his villa. However, when Sakura takes a short leave to get more tea, she stumbles upon her mother Nadeshiko’s room and uses “Record” to view scenes of her mother from when she was a child. Meanwhile, Eriol finally contacts Kero and Yue to explain the situation to them, as both Kaito and Momo claim that the time they are waiting for is at hand. Sakura’s great-grandfather gives her a key originated from England, that according to him, was one of Nadeshiko’s most prized possessions. Meanwhile, Kero and Yue are informed by Eriol how Kaito was expelled from the society of magicians he once belonged to after being held responsible for the disappearance of a mysterious relic with strong magical powers. Though Kaito will go to lengths to cut communication between them. AE3803 is assigned to be a mentor to a new red blood cell named NT4201, but finds herself out of her depth. AE3803 gets embarrassed when she gets them lost several times and finds that NT4201 seems to already know about the body, and that she prefers to do her job as efficiently as possible and not associate with non red blood cells. But then their world, a human body, suffers a massive head wound. The journey to take Princess Mia home to the Elf village continues, and Satou can’t helply generous to all and sundry. Perhaps he needs to learn Alchemy to brew his own magical potions, but this may reveal how ridiculously multi-talented he is. He keeps meeting and he keeps meeting a familiar face. But now he and his retinue are entering territory that has blank areas in his world map. Can he prevent himself getting boild in witch’s cauldron? Or get involved a terrible conspiracy. Will he be able to use his amazing abilities to help save his new friends in Forest of Illusion? Kikuoka explains to Asuna and Rinko that Kirito’s brain was severely damaged from the attack and they are using the STL technology to restore it. He also reveals that the main focus of the Underworld experiment is to create a new, more advanced form of artificial intelligence. Except that it has gone in an unexpected direction, and they originally sent in Kirito with his years of VRMMO experience to sort things out. Before Albert’s triumph is complete, the wounded Lupin is rescued by Jigen and Goemon, and the notebook is snatched from him by assassin-for-hire José and his minions. While recovering, Lupin reveals that Albert used to be his partner years ago but, not being satisfied with “small-time” thefts, turned away from Lupin to become the shadow ruler of France. But now José will change the course of history with the black notebook. While still in the Re-Estize capital, Sebas goes to the Magician’s Guild to purchase a spell scroll, and becomes involved with a slave and the Eight Fingers crime syndicate. Meanwhile, Gazef has breakfast with the swordsman Brain Unglaus, who is in a depressive state following his encounter with Shalltear, and Gazef tries to help him. And the Adamantite Adventurer Team Blue Rose both foils a scheme by the Eight Fingers and finds clues. The final battle with Kira continues, as an injured Josuke carries the body of Okuyasu, accompanied by Hayato seek shelter from Kira, while their allies remain oblivious. Despite Kira’s cautious pursuit, Kira manages to figure out Josuke’s hidden location and send an air bomb after him. For Kira’s deceased father Yoshihro is still out to save his son. Can Josuke lure Kira into close quarters where Crazy Diamond’s superior short-range fighting should tilt the balance in Josuke’s favour? Will Jotaro and the others arrive in time? Will Kira use the third and most terrible ability of Killer Queen – Bites the Dust to rewind time and ensure his victory? 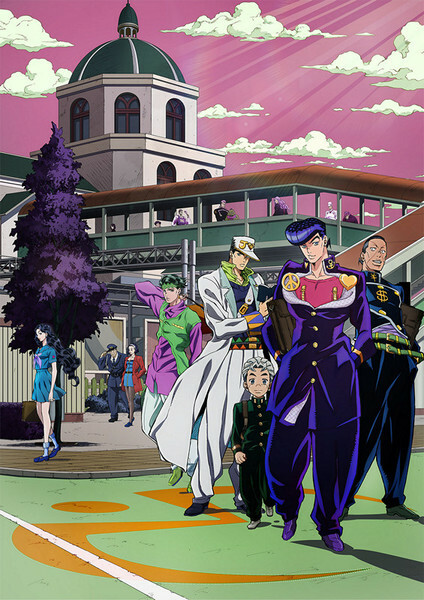 As the summer of 1999 draws to a close for the residents of Morioh Town will their be any survivors on the side of Justice? Josuke’s issues with poverty seem small by comparison.